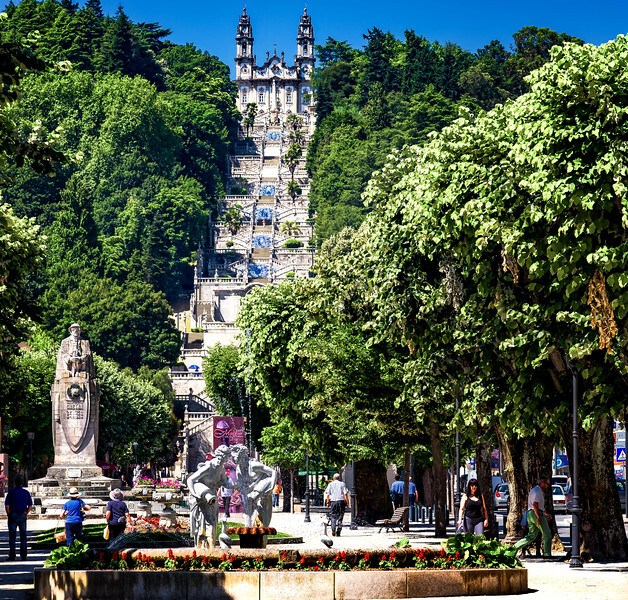 Day 11, Lamego, a view from the town to the Shrine - that's 686 steps! We did not walk up, we did not kneel down, but we did take the walk down. It's a tough as it looks! Hope those lady's aren't talking about how 'beat' I look after the walk down?